History is one of my passions. I love “going” back in time to discover what our ancestors were like and how they functioned, which shows how much we’ve changed as a society. Here are a couple of things I learned while writing this book. 1) I had to bend the rules a little to make the story work. When the Vikings invaded the UK, they settled around the Orkney Islands, in Ireland, England, and Scotland. Among a lot of other places too, but the part of Scotland where I wanted my Vikings doesn’t appear to have actually had many, if any. So I pushed them farther north with the Saxons and set up a kingship for them. One of the bad guys in the story, Ingvar the White Raven, became king of the area and snuffed out his Saxon neighbors. I fandangled the names of the native people a bit, giving them a little Old English and Scottish flair. 2) I had no idea the Viking reach was so far out into the world. You think Vikings, you think Sweden, Denmark, you know, cold places. You can easily figure in the UK, although I had no idea Normandy referred to ‘northmen’ which is, of course, the Vikings. While doing research, I was astounded to learn than the Vikings had a huge influence on Russia, which I mention the hero, Hella, has visited, and even Byzantine. The Vikings set their longships to sail from Greece to Turkey and even into Africa. Amazing! 3) By the 11th century, they’d discovered North America. This doesn’t factor into Her Heart’s Surrender, but I found it incredibly amazing. There are all kinds of hoaxes suggesting Europeans made it to the New World much sooner than we can historically prove, but the Vikings actually made it to North America and would have colonized but for the aggressive Native Americans they encountered. That’s saying something, because we’re all well-aware of how mighty the Vikings were, but it was unlikely they were willing to send great armies to foreign shores just to colonize there. Too impractical, although their discovery of the Canadian coastline was. Why do authors do cover reveals? If you follow many authors and/or blogs that feature authors (like this one perhaps), you probably see some cover reveals from time to time. Usually they take place before the book is out, so you may be wondering why authors do this. Well for one thing, the cover is a vitally important part of the book and whether or not people want to pick it up to read too. It is also a way to say thank you to the cover artists out there who are often underappreciated in the publishing industry. They are artists make no mistake about it and they deserve to have the spotlight shined on their work. Think of cover reveals as a gallery show for cover artists, a chance for people to appreciate their art simply for the art. It is also a time for the author to just sit back and appreciate that their hard work has paid off. A cover reveal is the calm before and after the storm. They have survived writing and editing their baby and it’s not yet time to get out there and promote like crazy. It’s a chance to say “Ah, I did it! I wrote a book and it has a beautiful cover.” It’s like when new parents want to share the photos of their babies with the world, it’s a moment of pure joy! And that is what the lovely Dawn Brower is sharing with us today, her latest moment of pure joy! Here is her baby! And isn’t it beautiful! The year is 1941 and paradise is a way of life in Hawaii. For Rebecca O’Shea things couldn’t be more perfect. She has her dream career as a naval nurse, and is in love with the man of her dreams—it seems she has it all. An empathic gift she’s had all her life starts to grow, showering her with emotions and premonitions that suggest a great darkness is near. Just when she thinks she cannot take anymore her guardian, Joel, arrives to help her. Rebecca’s life is thrown into chaos when war hits Hawaii’s shore. As the Japanese bomb her home, her gift explodes within her. Loss and pain become her new way of life. She abandons all hope and shuts down her empathic abilities. With bodies littering the hospitals and seas, her calling as a nurse is put to good use, but her heart remains unreachable. Can she find her way out of the blackness and accept her true fate? Or will the prevailing death and destruction of war consume her? 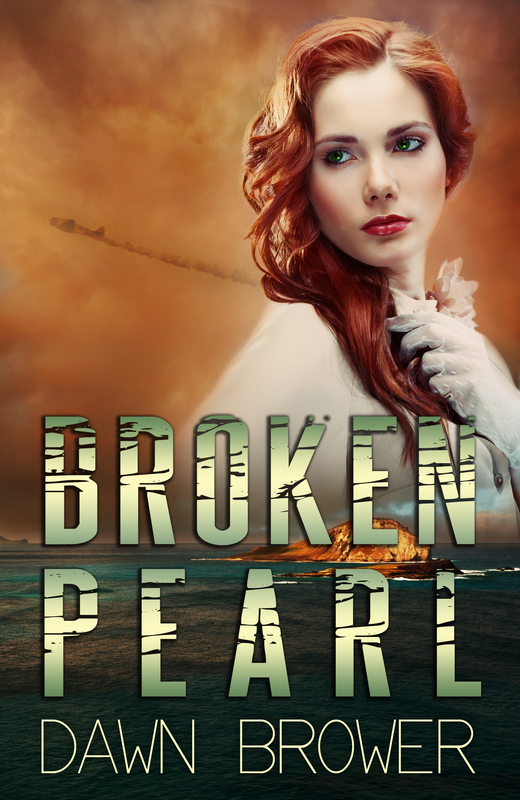 Broken Pearl is published by Three Worlds Press. For more information on this book or their other works please visit: http://www.threeworldsproductionsllc.com/. Scandalous Endeavors is my debut and as a first time writer I learned a lot about my style and the craft. I am not going to bore you with all of the details but would like to discuss one aspect of writing Scandalous Endeavors. This is a historical book set in the Victorian time period. It required me to do a lot of research in order to get the details correct, and sometimes there were no clear answers. I discovered that research is fun and learned plenty of new stuff along the way. For example I discovered that a horse moved faster than a train during the time period Scandalous Endeavors is set in. This is in part because trains could not travel a straight route. Rather they had to go around land formations. For example a horse could go over a hill but a train had to go around it. During my research I looked up everything from what types of foods they eat to how they traveled and what they wore. The heroine Lady Amelia is in mourning throughout the book so I did a hefty amount of research on mourning rules and dress. I discovered every detail of life in mourning had rules right down to the stationary Victorians in mourning used. It had a black border around it. They covered mirrors in black cloth and often hired mourners for the funeral procession. My biggest discovery about research was that I only used a small amount of what I learned. Hours of researching one thing led to a sentence or two in the book. Often it was more of a sprinkling of detail throughout. The intensive research added to the stories authenticity and helped bring the era to life. In the end I wound up with a rich and authentic back drop for the story I was telling. Amelia blushed at what he had implied. “Thank you. Now that it is settled I am going to retire for the evening. Enjoy the rest of the party. Lord Roseington, Lord Goldstone.” She inclined her head to them before spinning on her heels and speeding from the room. Stress at the best of times. 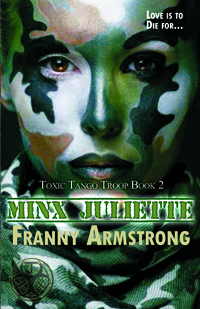 Tomorrow, (March 17, 2015) my book MINX JULIETTE, book 2 in the Toxic Tango Troop series is coming out in print. Now, you’d think that would be easy to deal with. The excitement is great, the waiting, difficult, and the time…so slow to tick by. However, I find that the stress of all the edits and rewrites that take so much time, can drive you to drink! Okay, maybe a glass of wine or I’d have no chance to work on the books. I love to write. I don’t mind the edits, and I tend to be patient to a point in my elderly years. (I’m only 54). So, what’s the problem? 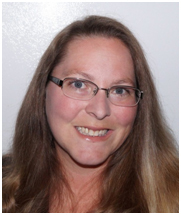 I’m the one who suffers from Bipolar Disorder, and stress is one thing I have trouble with. The good doctor put me on sedatives for those moments in time when I suffer anxiety attacks. He’s a great guy, telling me that I can function somewhat normally. The problem being that I’ve NEVER been normal a day in my life! HA! I prefer being unique. Many other people have a hard time dealing with life, but I’ve learned how to roll with the punches and be more patient. When I do have the anxiety attacks, I force myself to take deep breaths and BREATHE through it. What do you do when you just can’t get a break and the walls close in on you? Frankly, I’m working on answers for that dilemma.